We at S.S.SON CONTROLS ( Mumbai ) are leading suppliers of Silpaulin Sheets in India . Engaged in offering Silpaulin Tarpaulin. Fabricated from cross-laminated plastic film in different gauges. Ultrasonic welding facilitates strong joints, thus making them 100% waterproof and durable. U V stablised. Excellent tensile strength: tear, pincture and impact resistant. Easily repairable. 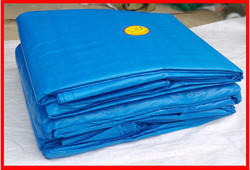 Range includes IS: 14611 Tarpaulins. Available in attractive colors and custom-made sizes. The UV stabilization properties are always present in G-Paulin Cross-Laminated Multilayer Tarpaulins. There are no secondary lamination agents in G-paulin and waterproofing properties are in-built. Our H.D.P.E. Tarpaulins are made from premium grade polyethylene which provides excellent water and sun resistance with strength. 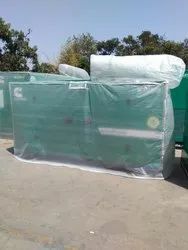 We Nandi tarpaulin are one of the reliable companies in this domain and are into offering Silpaulin Tarpaulin. We are one of the prominent supplier of high graded SilpaulinTarpaulins which are considered as the most popular names in the agricultural sector owing to its versatile use. These Silpaulin tarpaulins have excellent moisture barring properties. These Silpaulins are used for covering green houses, mulch and post harvest seeds.